Oh my I have never had so much fun reading a book. 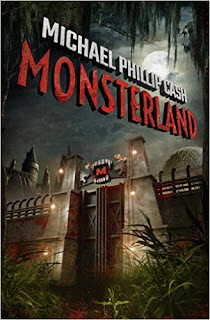 Michael takes us on a journey that will scare you and make you giggle all at the same time . I started reading this book at night and it had me jump a few times and giggle a lot more . My imagination was running amuck while reading. Just imagine if Disneyland was housing , zombies . vampires and werewolves. The creator a evil maniacal man, who wants to rule the world . 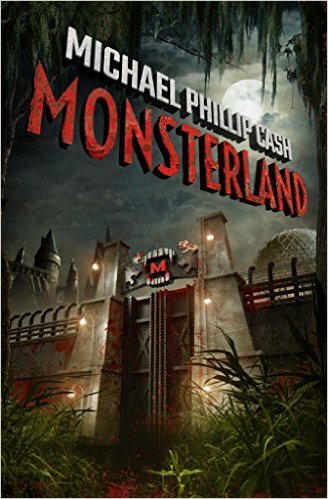 That is MONSTERLAND . This book had me glued to its pages from the first chapter . The author takes us on a journey, into a place that scares us but also tantalizes us. He has taken and mixed the vampire , zombie and werewolf lore and placed them all in one story. He shows us another side of them. They are misunderstood and are treated unfairly. You see them as not just the monsters, you see them as the people they were. You also see the friends and family dynamic in action. There is also a deeper part of the book that shows how evil politics can be and how corrupt that it can be. It makes you think so who truly needs to be put behind the bars the people or the werewolves, vampires and zombies . The characters in this book range from the sweet and innocent Jade to the epitome of evil Dr Conrad . The main character is Wyatt Baldwin and his family. Wyatt is a no nonsense kid who is having trouble with his younger brother and is love with the quarterback's girlfriend. You see him change and grow as you read , he grows up fast and becomes the hero that everyone knows he is. The cast of characters are so complex and involved and when all thrown together in a pot are great. You see the kids become heroes and protectors and trust me you will cheer especially Melvin. He finally found out where he belonged , not going to spoil it and tell you but I was so shocked and then happy for him. You will figure it out as you read.